The satisfaction of creating a functional object is divinely indescribable. Our home has been sorely in need of new dish towels for some time now. I realize this is a problem easily remedied by running to my local big box for a hectic minuet to choose between a selection of *blah* dishtowels that will do. But where is the fun in that? And quite honestly I am so over filling my home with objects that will do. Ta-da!!! 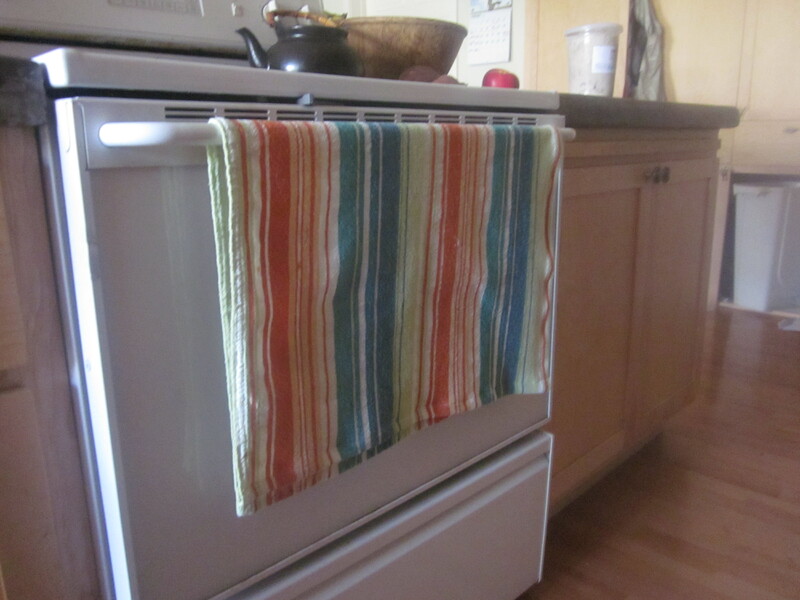 One of a kind, handmade dishcloths made from a repurposed table cloth. 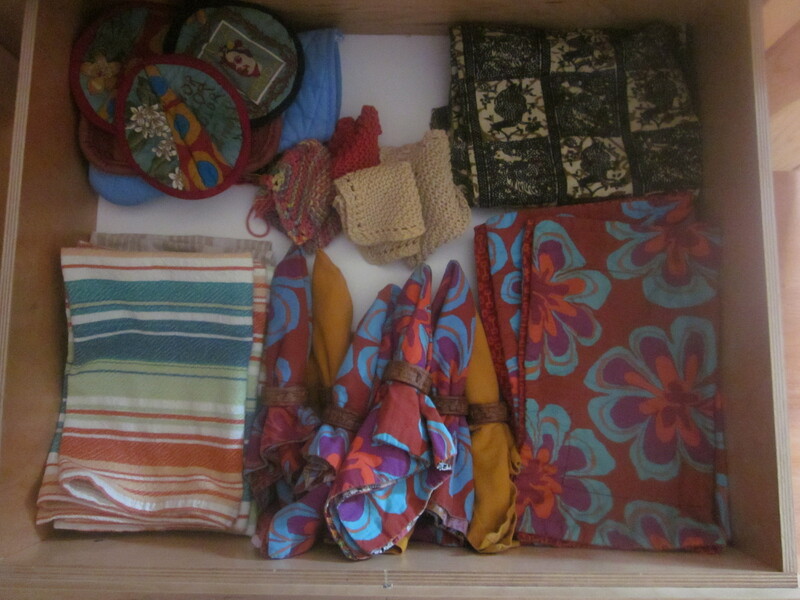 Imagine my delight as I went to place these precious dishcloths in their new home, only to discover that the entire drawer is comprised of items made by me, and vibrating to the rate of motherly love. These are items bursting with the energy of afternoons and evenings at home, the precious days of my baby’s babyhood playing by my side, and me, exhasperatingly attempting to complete projects with a wee one at me feet. 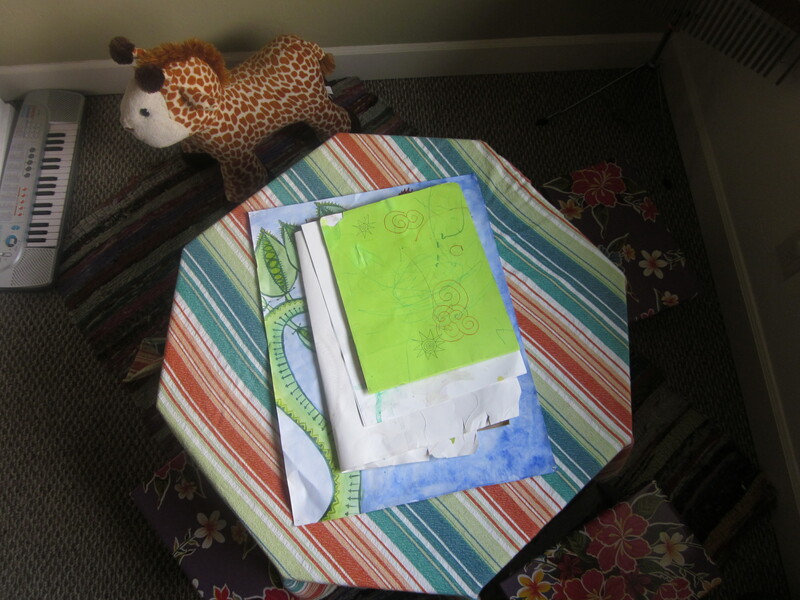 Every object in this drawer holds a memory and a moment in time that is dear to me as it was being created. 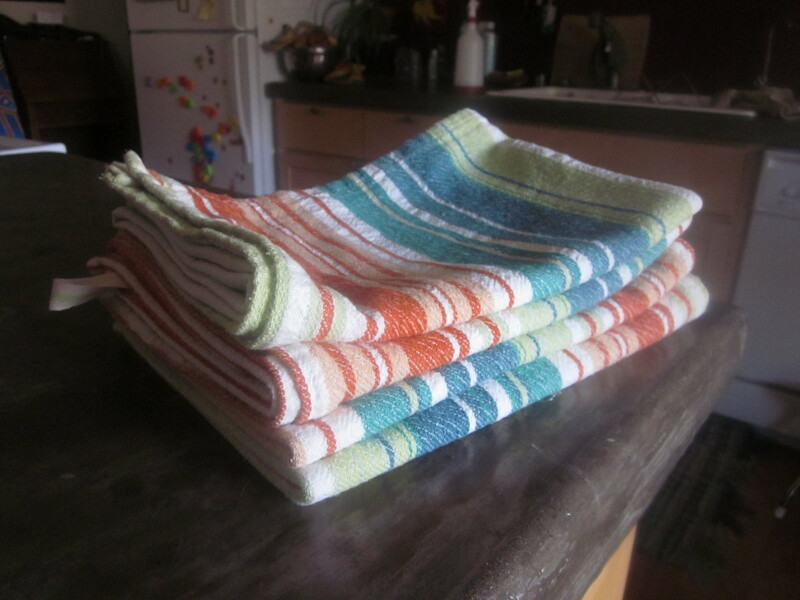 I blogged about the dishcloths about this time last year. Up next? Well I have been working on a sweater. Yup. And we need dishes. So it looks like there is some more delicious afternoons creating functional artwork in my future. “Courage is nessasary to creativity but not as necessary as most of us think. Too often, we confuse courage with comfort. We want to wait until something feels comfortable before we try it. There is a certain touching childishness about this notion. It has lingering overtones of Jack and the Beanstalk, Aladdin, and even Merlin. 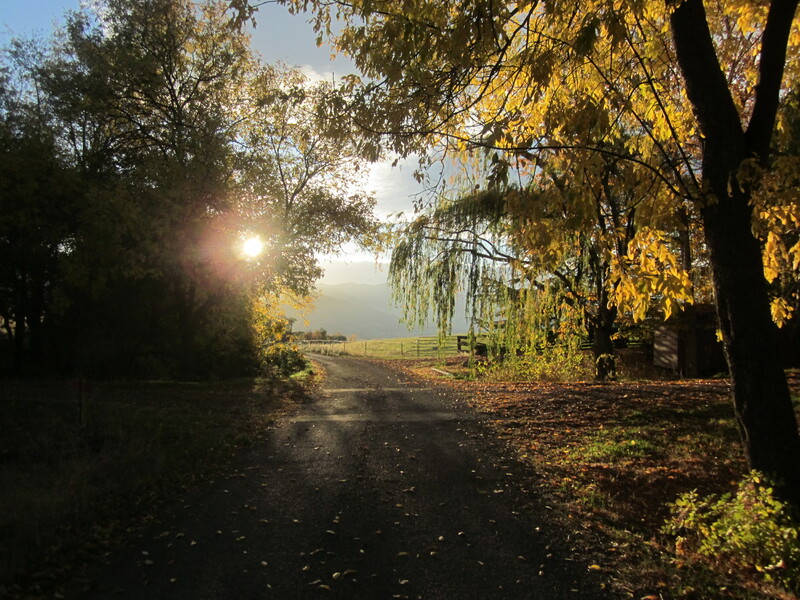 It never fails to amaze me that no matter how many blog posts published, how many art projects completed, or dance classes attended, that there is always a moment in the cycle of creativity where beginning again is so dang hard. Sometimes, it feels as though writing a simple blog post and then pushing the *publish* button is like my first jump off the high diving board. And no matter how many times I have managed to muster up the courage to just do it, and have survived the outcome- always better for it- it just doesn’t ever get too much easier. I think this is because the nature of art and creativity is that through growth we are always on the threshhold of uncharted territory. Every time I complete a cycle and lay still in the soulful silence of abyss between projects, I’m *waiting* for that tiny whisper, that says “its time!” And like all intuitive whisperings and listenings I am take a chance to go following a teeny tiny voice when it comes. It’s taking a chance to trust that promising sweet little voice. I think, “What if I’m wrong, what if I fail, what if its not worth it, who am I kidding, don’t you know how important a clean house is?!?! ?” And a whole other slew of unhelpful thoughts. Over and over again I have learned that it always pays to take the chance. No matter how uncomfortable to go out on that limb, to dive into cold water, to face the opinions of others. It always pays to take the chance. There are many projects on the horizon for me, I don’t know if any of them are worth it, destined to be successful, important, or necessary. I’m as scared as ever. But here I go, leaping anyway!